To put it simply: something must be done about the Conservative party. Not only has the membership declined precipitously – losing more than half our members since 2005 – but there is a worrying exodus of party activists. While we are on top in 2009’s European election, the most recent opinion poll for next year’s vote gives UKIP a 4% lead over Labour, with our party relegated to third. Clearly UKIP do not have a chance of forming the next government, but it’s obvious that voters will use the European elections to deliver a message to the Tory party, and to the country. This isn’t just about our relationship with Europe, but is an expression of the profound alienation that former core Tory voters now feel towards the party they once supported. It’s obvious we need to look at the situation with clear eyes and find appropriate solutions. First, we need to dump a whole raft of policies. I refer to the ones which are not merely rubbish to begin with, but doubly daft for being unpopular with voters – Tory or otherwise. I have long been a passionate advocate of strong and effective spending on Britain’s overseas aid budget, but we need to tear up the 0.7% commitment of GDP. Not only is it entirely arbitrary, but it decreases when the economy is poorer, even though this is when developing countries are even more likely to need our help and assistance. Edward Leigh is the Member of Parliament for Gainsborough. For centuries, men and women in Britain have fought for the right to express in words what is in their hearts. Freedom of speech is, perhaps, our most precious civil liberty after the right to life itself. But there is a widely held concern that civil liberties such as freedom of speech are being eroded. Many blame the last government for this. Even the current Leader of the Opposition admitted that the Labour government was “draconian” on civil liberties. But it is not just changes in the law that lead to the erosion of freedoms. It is changes in policing practice. Since the 1930s Public Order law has criminalised “threatening, abusive or insulting” words or behaviour. That phrase is now found in Section 5 of the Public Order Act 1986. This essay from Edward Leigh MP appears in the new book published this week by ConservativeHome, entitled The Future of Conservatism. Find out more about the book. The UK has a labyrinthine tax system. Much of the responsibility for this lies with the last Labour government, which burdened British citizens and businesses with over 5,000 pages of new tax rules and regulations. The result; our Tax Code has more than doubled in size since 1997, recently surpassing India’s to become the largest in the world. This has allowed the growth of an entire industry to discover tax loopholes. The TUC claims tax avoidance costs the Treasury £13 billion per year in lost tax from individuals, and £12 billion per year in unpaid tax from businesses. This dwarfs the estimated £1 billion a year lost as a result of benefit fraud. With the Coalition Government forced to make tough choices about public spending in order to reduce the deficit, we need to consider not just what the government spends money on, but also how the government raises taxes in the first place. If we really want a simpler tax system, we should implement a flat tax for both individuals and businesses. Recently I was day-dreaming about what I might write on the subject of the first ten years of a Conservative government, if it happens, of course, and if I’m still around in 2020. So here goes, but just in case some eager Labour party researcher spots this, these are mine and no one else’s musings and they are only that! Taking power for the first time in 13 years, the Conservative government had its work cut out. First of all we had the attitude that we wanted a society built on freedom, responsibility and aspiration. Our aim, our commitment was nothing less than balancing the budget during our mandate. With Public Sector Borrowing Requirement at £175 billion and the deficit running to £848.5bn as of January 2010, the financial outlook was bleak. Our deficit was equivalent to 59.9% of total national output and we were determined to undo the damage New Labour had inflicted on our economy and our communities. The main task facing our new government was how to neutralise the risk of both the IMF and Moody’s downgrading our AAA credit rating and the associated devaluation of sterling. Alistair Darling ignored the demands to cut more, and faster, and so it was up to the new chancellor to grab the bull by horns. It was never going to be easy, but with swift and decisive implementation of the right policies in the right places, we were confident that we could bring about a fundamental change in the way we spent taxpayers’ hard earned cash, and the way this country was governed for the better. The first thing the new Conservative government had to do was come clean with voters and publicly acknowledge that the public sector had become a great, greedy and financially unsustainable monster. Basic economics dictates that you cannot have less and less people in the private sector labouring under a huge financial burden to pay for the sky-high salaries, gold plated pensions and bloated administrations across the public sector from Whitehall to Town Halls. Therefore we held an emergency Budget within 50 days of taking office to set out a credible plan to eliminate in large part the structural current budget deficit over a Parliament. This led to the first step we took towards taming the public sector which was a progressive reduction in the deficit by freezing and reducing budgets. This was only implemented in 2011/12 so as to make sure that the economic recovery was cemented before spending was cut back. We insisted that Permanent Secretaries delivered the same level of frontline services whilst dramatically reducing costs by an overriding insistence on efficiency savings. IT projects were scaled back and projects piloted properly, back office functions shared and above all, complexity, particularly in benefits, reduced. As complexity reduced error and fraud was contained. 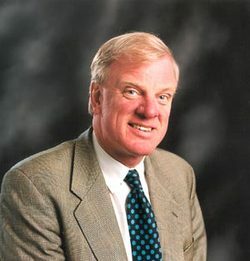 Edward Leigh has been MP for Gainsborough since 1983, is chairman of the Public Accounts Committee and founded the Cornerstone Group of Conservative MPs. He is co-editor of The Nation that Forgot God, which is to be published next week by the Social Affairs Unit. I applaud the Archbishop of Canterbury for his recent lecture linking care for the environment to Christian faith. He quotes beautiful passages of scripture - "The earth is the Lord’s" (Psalm 24) - in support of the argument that a proper relationship with the planet we live on can only be established by seeing it as God’s creation. It is refreshing to hear a senior cleric speaking so explicitly about faith itself, rather than parroting the usual secular line about global warming. But at the moment he seems a rarity. This is a symptom of the fact that Britain is the most extreme example of a trend towards secularisation which has, to a greater or lesser extent, affected almost all of Europe. Next week, I am bringing out a book, The Nation that Forgot God. It has a dozen essays by various authors including myself. There are pieces by, among others, the late Shusha Guppy (a Sufi Muslim), the Rev. Peter Mullen (an occasional columnist for the Daily Telegraph) Roger Scruton, Archbishop Nazir-Ali, Archbishop Vincent Nichols, the Abbot of Downside and Bat Ye’or, who coined the term "Eurabia". The theme of the book is the secularisation of the West and the impact of that on society. Britain is merely the most extreme example of a trend. Edward Leigh MP: Let's withdraw from Iraq, and who is Brown kidding on the EU Treaty? Edward Leigh, MP for Gainsborough, is this week's parliamentary diarist on the Cornerstone blog. He has given today's entry to ConservativeHome due to temporary technical problems. Edward Leigh: Is the Secretary of State aware of the recent comments of Lord Inge in the House of Lords that our involvement has been a strategic failure? The fact is that our troops are now dying at a greater rate than the Americans: they can expect to be attacked within 20 minutes of leaving base. After giving up the Basra palace, those gallant men will have to retreat to the airport. How can they effectively run a country or conduct peacekeeping operations from an airport? What is our strategy, apart from staying there just to prove that we have a strategy? We should get out and get out now. Des Browne: I can only suspect that the hon. Gentleman has only recently entered the Chamber as I spent some time, in answer to an earlier question, explaining our strategy—explaining the logic of it and why it involves assessments of the security situation, the Iraqis’ ability to respond, our ability to support them and the political support that the security forces are receiving from the Iraqis. The commission suggests that we are mistaken in thinking that the goal can be achieved by military means alone, but we have never suggested that the future of Iraq was dependent on military means alone. It is fundamentally dependent on the ability of the Iraqis themselves to stand up properly their organisations and the level of political support for those organisations in certain parts of the country. That is their challenge, and we can do only so much to help them. However, that analysis of the situation gives no support to the assertion that the hon. Gentleman has just made. Having voted against the Iraq war, I have consistently questioned the price we have been paying for that decision and what precisely the sacrifice of our young men has achieved. I would much rather have been proved wrong by events than see my fears for our military realised. But it is too late for such regrets. Edward Leigh is Conservative MP for Gainsborough and Chairman of the Public Accounts Committee. With John Hayes he leads the Cornerstone Group of Tory MPs. Now that the dust has settled over Gordon Brown’s Budget, the Conservative Party should recognise that it has the greatest opportunity in a generation to champion the case for lower taxes. Of course, I am well aware that we have fought the last two elections on a promise to cut taxes. The scale of our proposals was modest – only £4 billion or about one per cent of total taxation under Michael Howard in 2005. But that did not stop Labour running its well-tried and tested big lie that the heartless Tories were planning to shut half the schools and hospitals in the country so that they could fatten the wallets of their rich friends. Brown’s Budget has changed all that. By reinventing himself as a tax-cutter, Labour will no longer be able to advance its moronic but plausible argument that you cannot cut taxes without putting doctors and nurses on the dole. What is sauce for the goose is sauce for the gander, Gordon. If you can unveil a 2p cut in the basic rate of income tax without putting schools and hospitals at risk, so the Conservatives can come forward with their own ideas to ease the pain of a tax burden, which is now as high as it was in the 1970s when Denis Healey was making the pips squeak. Fortunately, David Cameron has not turned his back on tax cuts. He has spoken of sharing the proceeds of growth between higher public spending and lower taxes. It is a perfectly sensible formulation. The only issue is who gets the lion’s share. I believe it should be the downtrodden taxpayer and that efficiency gains, also accepted by Brown as a legitimate source of revenue, should be used to safeguard service delivery in the front line. My fear is that the Conservative Party, badly scarred by its failure to make headway last time, will make the mistake of fighting the last war and commit itself to a relatively feeble programme of tax cuts, all but indistinguishable from those of a Brown-led Labour government.